Novelist Victor Hugo once wrote, "Music expresses that which cannot be put into words and that which cannot remain silent." As a performer, composer, arranger, producer and teacher of music, Nathan Eklund has directed his life passion toward such an expression. Nathan Eklund was born near Seattle, Washington and began his musical journey by studying piano at the age of six. Inspired by his grandfather's big band and military trumpet playing during the World War II era, Nathan picked up the trumpet at eleven and soon became interested in jazz through the trumpet voices of Louis Armstrong, Dizzy Gillespie, and Clifford Brown. Nathan began his serious musical training at Central Washington University, where he studied classical trumpet performance under the direction of Thomas Gause. Uncertain at this stage as to what role music would play in his life, Nathan became immersed in the world of jazz at CWU and decided to make it his focus. In 1998, Nathan moved to the New York City area to study jazz at William Paterson University in Wayne, NJ. He attained his Bachelor's degree from WPU and his Master's degree from New Jersey City University, while studying with NYC area professionals Dave Rogers, Scott Wendholt, Joe Magnarelli, Rich DeRosa, John Mosca, Paul Meyers, and Andy Eulau. Today, Nathan Eklund has established himself inside New York City's upper echelon of jazz trumpeters. His meticulous attention to detail allows him to adapt to any musical situation, making him in high demand as a performer, composer, arranger, and teacher. Professionally, Nathan leads two quintets, the Nathan Eklund Group and the Nathan Eklund Quintet. Nathan's newest release, Trip to the Casbah(2009), features Donny McCaslin (tenor sax), John Hart (guitar), Bill Moring (bass) and Tim Horner (drums). The NEG has released two albums, most recently "The Crooked Line", released in January 2007 on Jazz Excursion Records. Nathan is involved in many additional musical projects including Richie Cole's Alto Madness Orchestra, Craig Yaremko's Sync, Mariel Berger's Obsidian Nonet, and Cecil's Big Band (West Orange, NJ). Nathan has performed with Joe Lovano, Claudio Roditi, Eddie Daniels, Don Friedman, Jack Walrath, Kermit Driscoll, The Newyorkestra, and is currently subbing on Broadway's The Little Mermaid. He recorded for Spyro Gyra's 2006 Grammy nominated album "Wrapped In A Dream", and has performed on recordings for Richie Cole, Chuck Loeb, Gerald Veasley, Craig Yaremko, Dave Noland, and Suede. Nathan has performed at the New York City clubs Birdland, The Blue Note, The Jazz Standard, Smalls, Smoke, Cornelia Street Café, B.B. King's, Louis 649, and La Lanterna. Along with his accomplishments as a performer, Nathan has made a commitment to furthering the development of music through teaching. 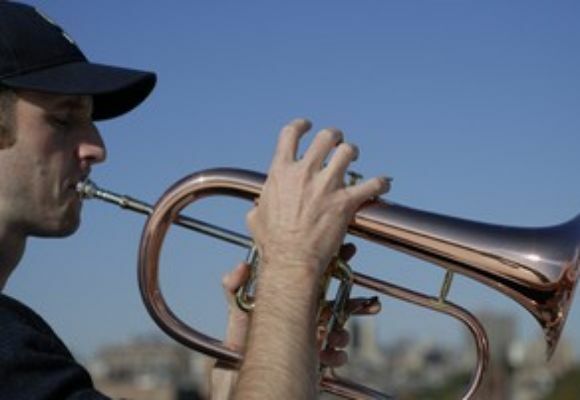 Since early 2001, Nathan has been a private trumpet instructor, teaching throughout New Jersey. He is currently an adjunct faculty member at New Jersey City University in Jersey City, NJ, teaches at William Paterson University's summer jazz camp (2006-present), and has given clinics at high schools nationwide. In February of 2002, Nathan presented a clinic on Jazz Brass Articulations at the New Jersey MENC conference.